When Trump announced his decision to drastically reduce the public lands associated with Bears Ears and Grand Staircase-Escalante National Monuments, originally designated by Presidents Clinton and Obama, he crowed, “Some people think that the natural resources of Utah should be controlled by a small handful of very distant bureaucrats located in Washington…And guess what? They’re wrong.” Trump then went on to give a speech full of misleading claims implying that he was claiming public land back from the government for use by real people. 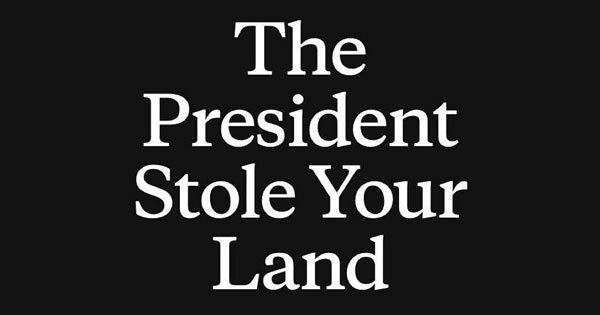 In response, the most recent corporate-based protest of decisions made by this administration is now being waged by Patagonia, REI, and other outdoor clothing and equipment retailers, which sees Trump’s decree to slash the two national monuments’ land by more than 2 million acres as a call to arms for them and their customers. This is not the first time that outdoor gear corporations have organized together to express a set of values shared across corporate boundaries. When Trump pulled out of the Paris Climate Accord, Patagonia, REI, North Face, and many others were among the signers on an open letter criticizing Trump’s decision. And some are putting up money; Canadian company Arc’teryx announced it would donate the net proceeds of its US after-Thanksgiving eCommerce sales to The Conservation Alliance and will donate another $30,000 to the Alliance’s Public Lands Defense Fund, which is working on legal strategies to save the land. North Face, meanwhile, has pledged $100,000 to develop a Bears Ears Education Center and is engaging their customers in a Kickstarter campaign that by yesterday afternoon raised nearly $124,000 from 1,700 people. Patagonia’s activism has a broader form; not only has it donated millions over the last two years to support groups that protect public lands, but it led the advocacy to move the massive Outdoor Retailer and Snow Show out of Utah and into Colorado after the governor expressed his lack of support for the Bears Ears Monument.